The Oxygen sink mixers from Gessi offer style, quality and versatility. Available in a choice of chrome or brushed nickel finish suiting all tastes and settings. The Oxygen sink mixers from Gessi offer style, quality and versatility. This sink mixer has a 120 degree swivel L shaped spout, single lever control handle and clear yet discreet blue and red markers for clear indications of hot and cold. 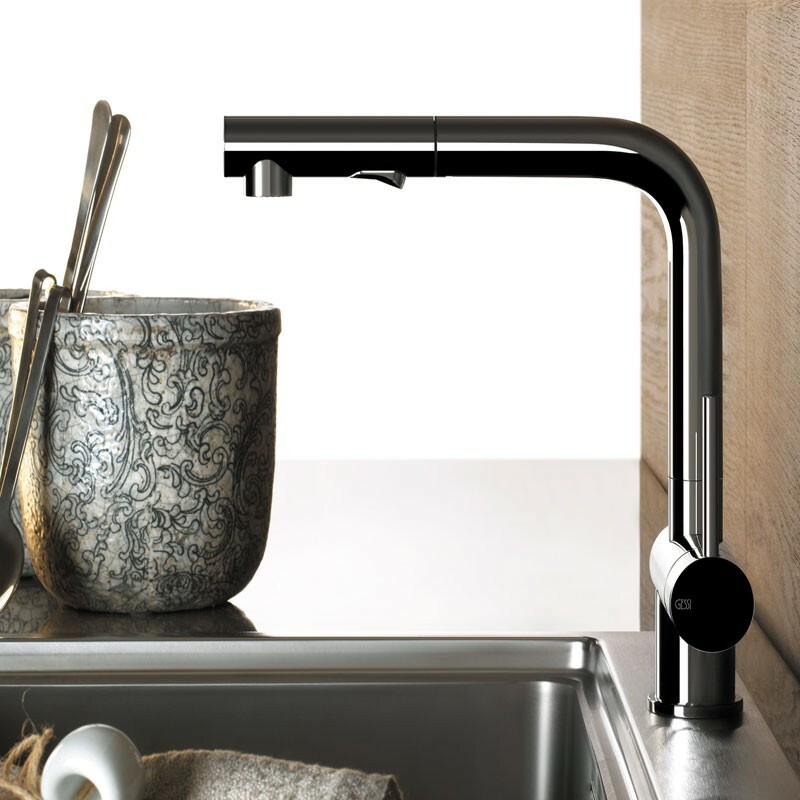 For added convenience this tap has a pull out rinse, an invaluable aid for any busy kitchen. The projection from centre of the body to centre of the spout is 217mm and the height to the underside of the spout is 241mm. It is supplied with tap connectors and all fittings for fixing to your kitchen sink or worktop. If you are fitting this kitchen tap to a worktop we recommend a 35mm diameter hole is drilled. It is supplied without a waste; we recommend a choice from our wastes and traps section. 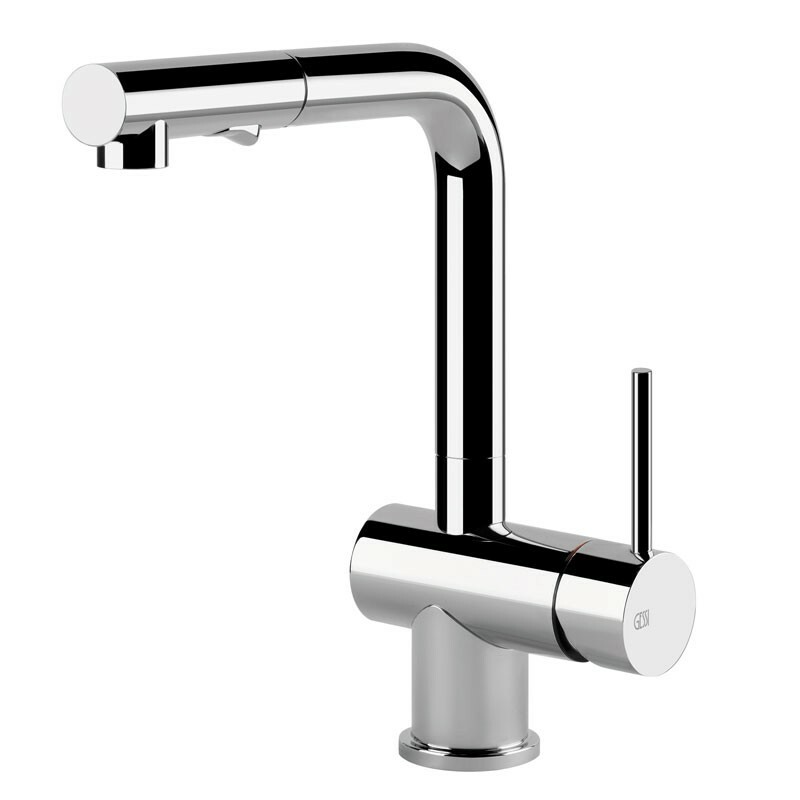 The Gessi Oxygen single lever sink mixer with pull out rinse is suitable for high pressure water systems only and requires a minimum operating pressure of 1.5bar. Guaranteed for 5 years.